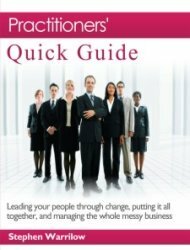 Change Management Theories – How Do They Help? What value do they add? Can they help you avoid the 70% failure rate? 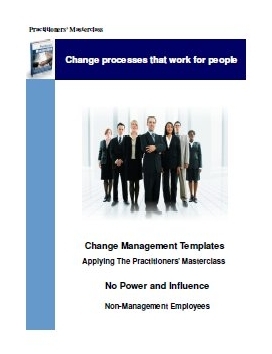 There are many change management theories. Here are 4 theoretical models that are representative of the substantive main body of work in this field. 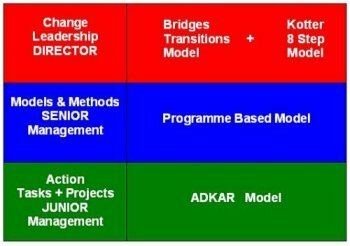 The schematic below illustrates the relationship and positioning of these major change models as comprehensively explained in the Practitioners Masterclass materials. Outlined below is a brief introduction to some of the popular change models. In the early 20th century, the psychologist Kurt Lewin developed this model which still forms the underlying basis of many change management theories and model today. His model suggests that change involves a move from one fixed state through a stage of activity and then back to another fixed state. So this is a three-stage process of managing change:  a frozen or static state,  and activity phase [or unfreezing]involving change and then  re-freezing back to another static state. And - Kurt Lewin's "Force Field Analysis"
Originally used to describe the cycle of emotional changes experienced by the terminally ill, Elizabeth Kübler-Ross's model though evolved within a clinical environment, was found to have a far wider application to people experiencing any bad news. In essence, this model maps the emotional responses that your staff are likely to experience if or when you announce a major step-change and especially if [as in the current climate] this is likely to contain bad news. This is model is very similar to "The change roller coaster". 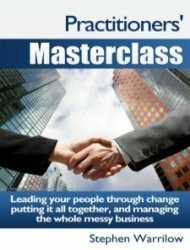 The importance and significance of these 2 change management theories is that they highlight very clearly the emotional terrain that your staff are likely to be experiencing, and the necessity for clear yet compassionate leadership - and especially through the initial phases of the change. 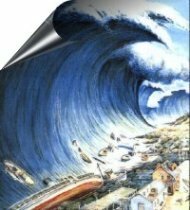 Conner - Managing at the speed of change - the do's amd dont's of ongoing turbulence. Looking at the bigger picture, with regard to the whole subject of change management theories, the Practitioners' Masterclass emphasises the need for a change model, and change methodology, that bridges the gap that exists [with most popular change models] between the high level “big-picture” strategic vision and a successful implementation at the front-line. To fill this strategy–project gap I have adapted some of the core concepts and processes of programme management that directly address these missing areas, added a preliminary cultural analysis combined with a pre-programme review and planning process utilising my EEMAP process©, to create a simple, programme-based model. This is broader in scope than a typical “project led”, "task oriented" approach, as it addresses the human factors and deals directly with the commonest causes of failure. 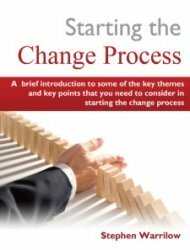 Each of these change management models theories and concepts helps define change management and adds something of value to our understanding of the overall process. However, at root, change is about process and people. But even process is just about people doing stuff... so it's ultimately all about people - and processes that work for people. 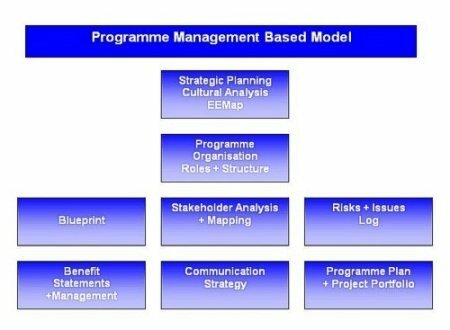 See here for a brief discussion and summary of change management models.